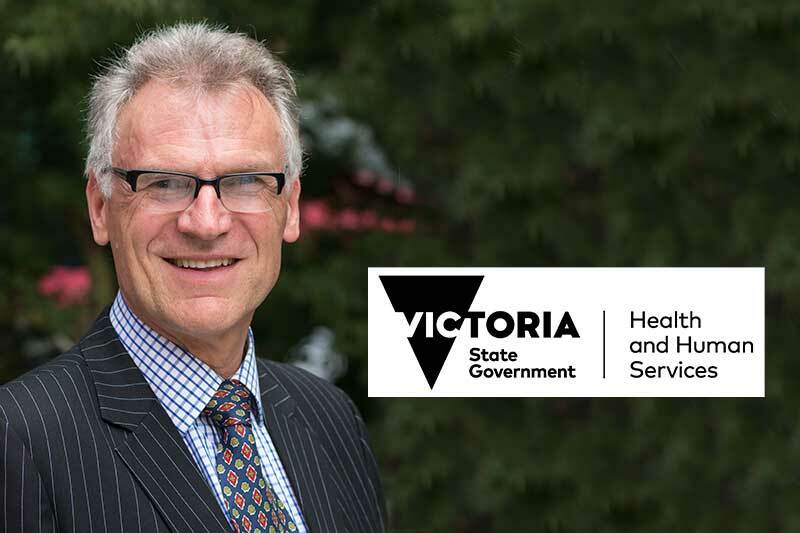 Dr. Steve Hodgkinson is the CIO for the Victorian Department of Health & Human Services and Director of the Business Technology & Information Management branch. OpenGov Asia spoke to Dr. Hodgkinson about the strategy for digital transformation and the ‘Platform plus Agile’ approach. What are the current areas of focus for the Department of Health and Human services? The Victorian state government’s social policy agenda is being driven by a renewed focus on information sharing. The critical problems revolve around how to get better integration of services across multiple service providers in the state government and also in the community services sector. It usually boils down to systems integration or information sharing. The government wants to use ICT more effectively to drive integrated service delivery across multiple sectors. A key catalyst at this point, for example, is the recommendation of the Royal Commission into Family Violence that government agencies be more integrated in the way they wrap services around women and children, who are at risk in family violence situations. There are similar imperatives in the health sector. E-government has been talked about for a very long time … but the inability to implement modern ICT systems has too often frustrated previous efforts. Victoria had a concerning track record of large system failure, projects, that have either failed altogether or have taken too long and gone over-budget. That implies that ICT is all about doing things more quickly, at lower cost, with lower risk, in a world where the expectation is that information will be shared better between government agencies and across the system more broadly. We prefer the term ‘public purpose sector’. The game is to use ICT to create a more integrated public purpose sector. Health in terms of more integrated public health records, community services in terms of family violence, child protection and disability services. All of these areas need better ways of sharing information to create better integrated services that align to the needs of service recipients. What technologies will be the key in this process? The two keys in my view are cloud services and analytics. Cloud services is really a play around shared services. How to create pooled solutions and platforms, with joint investment, that are leveraged by multiple agencies, even hundreds or thousands of agencies all around the world. Platforms are configured and shared, as opposed to more traditionally dedicated solutions which are customized and run on premises. The second component of the mix is analytics. We need to get smarter about how we report and make visible what’s going on. Integrated solutions are principally about connecting systems or rather collecting information from different systems and bringing it into one place for visibility and analysis. In the past, that’s been interpreted as a systems integration task. It’s been very difficult and costly and projects usually failed. The task of integrating disparate systems, at different phases of maturity, in different agencies, in a very decentralised sector is difficult. That is changing now. Integration is being re-conceptualized as being about analytics instead of ‘hard wired’ systems integration. Recognising that read-only data from many of these systems in often good enough, simplifies things hugely. Analytics professionals would say, “Give me a copy of your data and we will put those copies into one big bucket and apply modern visualisations, elastic search, big data type tools to it.” Within a short space of time and not much money it’s possible to achieve what appears to be an integrated view across multiple systems, without needing to have real time systems integration as a precursor. An analytics driven approach can provide a faster, better, cheaper way to achieve integrated service delivery. These two things are from my point of view are the key themes which I hold to be important: shared cloud services, which come with economies of scale, proven enterprise-grade security, trust relationships, ability to leverage global scale, and automation configurability. And analytics, as an alternative to more traditional systems integration. What are your driving within those areas of cloud services and analytics are you driving to realise that goal you talked about holistically? The Victorian government has a shared services provider, CenITex, which is the standard operating environment for office automation services and application hosting. Before the era of cloud computing, the only way you could get economies of scale was through shared services. CenITex themselves are now making greater use of cloud services. They are entering into infrastructure as service arrangements with commercial vendors. Cloud services are being plugged into the back-end of existing shared services in the Victorian public sector. We are making more assertive use of cloud services as our core strategic platforms looking forward. We are re-platforming applications into cloud services where we can and using cloud services platforms as development environments for new applications. I use the phrase ‘Platform plus Agile’ to describe our approach. Most problems stem from fragmentation and diversity of our legacy environments. We would prefer cloud services platforms for future development, to enable higher agility. This takes a large number of variables off the table when we start an application development project. Traditionally government has tended to go down the path of essentially having all the variables in play by having detailed requirements while going to market and allowing a procurement process to make most of their decisions with regard to technology, vendors, approaches, methods etc. Each procurement was a one-off event that delivered fragmented islands of technologies. Now, we are trying to think more strategically about consciously choosing some modern platforms and then being more agile on top of them. We are also moving in a full circle towards valuing the skills and capabilities and knowledge of our in-house ICT application development teams once again. During the last decade accepted wisdom was ICT development is best outsourced, usually on a project by project basis. Whereas, with a platform plus agile approach, we rebuild capacity and capability within our development teams. We can do things faster and with lower risk, if we already have in-house staff who know the business and our platforms. The platform determines most of the variables. Unlike traditional software development, it is more about configuration. Can you give an example of the type of projects the department is pursuing? We are making increasing use of software-as-a-service platforms for new application development. Our application developers have built skills in platforms like Salesforce and have successfully delivered a range of small-medium sized applications. These projects are substantially ‘in-house’, rather than requiring traditional procurement/outsourcing approaches. The experience so far is faster, better and less costly projects compared to the past. We are re-platforming some of our other applications to Microsoft Azure via CenITex. We are also quite excited about some integration projects that take a more analytics-driven approach. One example is ‘Client overview prototype’. Within human services the idea of a single client view is the holy grail, in a similar way to the pursuit of integrated patient records in healthcare. It should be possible to view a holistic understanding of the services a client has received and their relationships with the various services providers in the mix. The fragmented nature of the public purpose sector and its organisations, programs and systems make this very difficult. Even within one department it is not easy. Over time structures, programs and systems are repeatedly ‘cut and diced’. So, one of the platform plus agile projects we have done this year is the Client Overview Prototype, which gives us a holistic view across child protection, disability services, youth justice and housing datasets. As I mentioned earlier, it is done using ‘analytics thinking’, rather than what we may regard as more traditional real time system integration. We take an extract from the data and treat it as a data visualisation and matching type process, using modern tools (including open source ones). Within a short period, at a relatively low cost, we have managed to create a functional prototype. It can be easily scaled up and extended by adding more data sets to the bucket of data. The prototype is being used to inform service design work that is underway to create more integrated community service responses. The technology is now becoming the easy part. The difficulties now revolve around who can see data and under what circumstances. Particularly in areas where the data is very sensitive, in child protection and family violence cases. The art of the possible is shifting to reveal ways that it can be technically easier to both share information as well as to control who sees what information, when and with what audit trails and oversight to protect the privacy and security of client information. In the past, technology was the big bottleneck. We needed hundreds of millions of dollars to integrate systems. But those projects took too long and too often failed. Government lost confidence in this sort of investment. But these new technologies, like cloud services, can enable things to happen more quickly. These more analytics driven mindsets and approaches can enable more rapid integration and visualisation of information. What is the timeframe? Technology is always evolving. How do you break it up into manageable parts? In Victoria, the Department of Premier and Cabinet (DPC) is leading the implementation of the reform program on the human services, community service side. This will lead to a multi-year program of work. The key way forward is the evolution of solutions proven to work as quickly as possible and then iterated to be improved as results are demonstrated. We want to create building blocks early, which demonstrate capability. The client overview prototype that I talked about is an important demonstration of a building block. Its application in the real word will change people’s understanding of what’s possible. The important thing from our perspective is to continue these iterative processes of demonstrating what can be done, reflecting on how it fits into the program, and then moving forward based on that. We are currently working across multiple departments, justice and regulation, education, health and human services, which are all working in collaboration with DPC. It is being suppported as part of broader integrated community services reforms across the Victorian Government. How do you evaluate return on investment in these projects? At this point, the return on investment has to be judged on the reform program rather than the ICT projects. This government is very keen on pursuing an outcomes-based approach to how government tasks the public sector with doing things, how the public sector then organises itself to deliver results for citizens and then measures and reports how those outcomes are tracking. We are trying to create greater clarity about outcomes to be delivered by service delivery reform and to use those outcomes as measures. The overall program of work needs to account for the costs and benefits rather than the isolated elements. The move at the moment is to conduct more rigorous measuring, tracking and reporting and then to use that logic as a justification for whether or not a service delivery reform or new service model or program is a good idea. When you get into more of the platform and agile type approach to ICT, it naturally lends itself to smaller projects which are iteratively evolving. It’s hard to run benefit cases on each iteration. Benefits need to be assessed at the policy or service delivery outcomes level rather than at the ICT level. Where do you see innovation driving the change in your department? The major innovation I am seeking to drive is to renew a sense of confidence and optimism regarding the capacity of ICT, to be an enabler for service delivery and policy reform. Unfortunately, the popular perception is that ICT always goes over budget, always under-delivers, is unsustainable, is falling over all the time and can’t be trusted. Undervaluing leads to underinvestment and an inability to manage ICT properly. We end up using outdated systems and unsustainable work-arounds. We need to give policy and service delivery executives a renewed sense of confidence that they can successfully do things with ICT, that it will be sustainably affordable, secure and trustworthy. This will be enabled by innovative new technologies and innovative approaches. Seeing is believing in this space, hence the importance of finding ways to deliver earlier and shift people’s thinking about the art of the possible.